For a 4/4 size Violin or a 14" Viola, choose the [4/4, 14"] option. 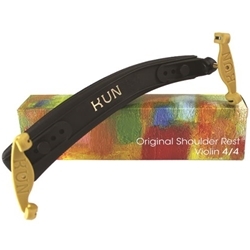 For a 1/2 or 3/4 size Violin, or a 12-13" Viola, choose the [1/2-3/4, 12-13"] option. For a 1/10, 1/8, and 1/4 size Violin, or an 11" Viola, choose the [1/10-1/4, 11"] option. For a 15-16" Viola, choose the [15"+] option. To check the size of your instrument, look at the label on the inside of the body. This can be viewed through the "F holes" on either side of the strings on the front of the violin.